Matthew is a graduate of East Carolina University where he obtained both a Bachelor of Science and a Master of Science in exercise physiology. He earned his Master of Science in physician assistant studies at the University of Florida in Gainesville, FL. His primary responsibility at Orlando Orthopaedic Center is to treat patients in need of immediate orthopaedic care at the Orthopaedic Injury Walk-in Clinic in Lake Nona. 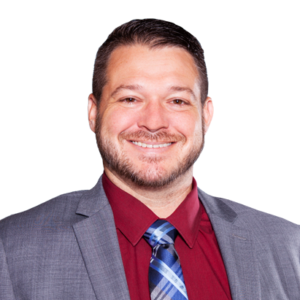 Prior to joining the Orlando Orthopedic Center, Mr. Robinson practiced at several clinics and health systems as an orthopedic PA-C, gaining experience in trauma injuries, sports medicine and orthopaedics. Certified by the National Commission of Physician Assistants, Mr. Robinson provides patient care including physical exams, determining diagnosis, ordering tests, and performing clinical procedures.